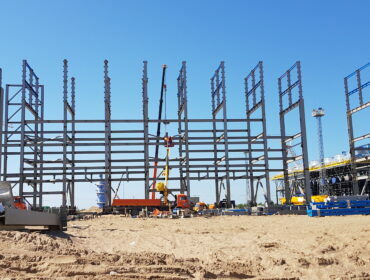 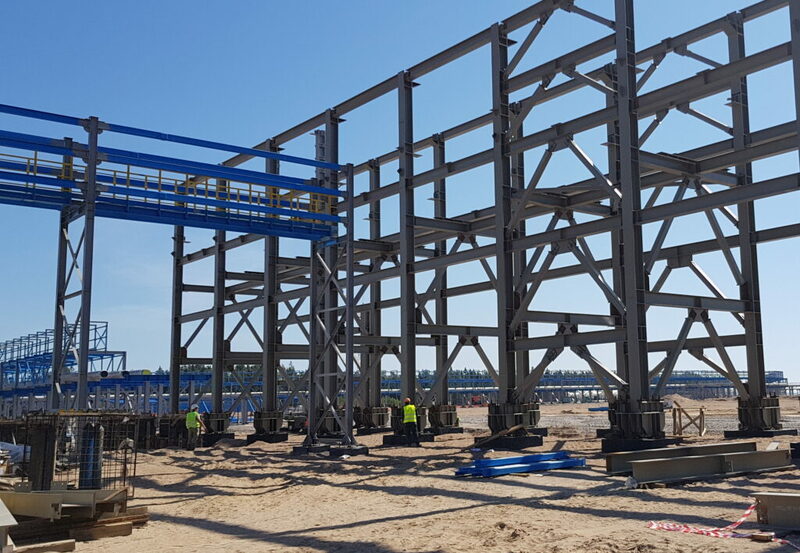 Installation of metal structures for technological racks of the processing complex of liquefied natural gases, Portovaya compresing station. 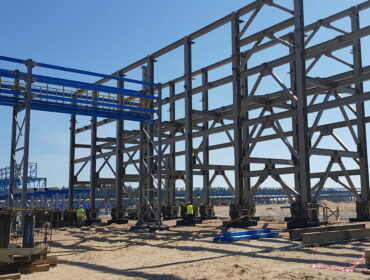 The scope of work included the installation of supporting and load-bearing structures, the installation of span structures, the formation of anchor groups, the installation of embedded parts and other installation works. 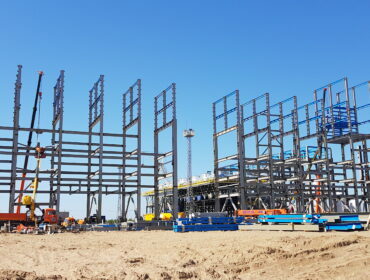 Results: creation and on-land montage of metal frames of technological racks and bearing supports for the infrastructure of the compressing station.